Guest publication: it’s the proverbial “Holy Grail” of content marketing. By getting published on influential sites, you raise brand awareness and position yourself as a leading industry expert. Guest publications can, however, be a double-edged sword. Like traditional marketing, guest articles are all about getting the right content to the right person at the right time. Without a clear strategy in place from day one, you can end up exerting considerable time and effort on guest articles that never get published, end up being published on the wrong website (and fail to reach your target audience), or lack the substantive content to make a lasting impact on your target audience. You can also get penalized by search engines by partaking in guest blogging sites that are not reputable. No pressure, right? Crafting the perfect guest article doesn’t have to be an earth-moving task. Get your guest blogging initiative off to the right start with our 4-step guide. Yes, your general goal is to build your reputation as an industry thought leader. But in order to craft an effective strategy and actionable roadmap, you need to get more specific. Let’s say you run a small consulting group that helps startups with their brand strategy and you want to increase your new business pipeline. In this case, you’ll want to publish authoritative articles on startup branding on publications that are read not only by entrepreneurs, but also by the folks who fund these entrepreneurs and help nurture their businesses, such as Angel List investors and startup accelerators. Maybe you have a startup client that would make a great case study of what to do (or what not to do). Being as specific as possible about your goals from day one will save your from wasting time targeting the wrong publications or pitching the wrong stories. Editors want your insights. Their job is to deliver relevant, timely and engaging material for their audience, and as long as your content meets these criteria, it’s got a good shot of being published. Keep in mind, however, that editorial needs vary by industry and publication. Let’s start with contribution frequency. Nearly half of all editors from business and entrepreneurship publications prefer one-off contributions. On the flip-side, 35 percent of editors from marketing and tech publications rely on regular contributors for their most popular columns. Publication frequency matters, too. Editors of a major tech website that publishes new content on a daily basis will have big editorial calendars to fill and tight deadlines in which to fill them. These editors are more likely to be open to promptly publishing content shortly after receiving your pitch. Editors at a bi-weekly or monthly publication, however, typically work off longer deadlines; their editorial calendars may be set several months in advance. Keep this in mind when pitching; in this later scenario, you’ll want to be sure your pitch is as relevant three months down the road as it is today. 3. Be valuable and relevant. Honing in on the perfect topic can be a challenge. Start by making a list of the top problems that your target reader base is facing. What professional experience or actionable insights can you bring to these problems? That’s your starting point. Resist the urge to turn your pitch decks into a blog post. As Michael Lazerow, the CEO of Buddy Media told Contently, “If you’re just going to use a guest post to plug your widget, it’s useless and people will see through it.” We couldn’t have said it better ourselves! Focus on what you can contribute, not promote. When you contribute valuable insights, new business will naturally follow. 4. Do your research and cite your sources. Whether you’re writing an informative, how-to article or an opinion piece on a new industry trend, you need solid facts and thorough research. Publishing content that’s based on misinformation or sloppy research will hurt your reputation and damage your brand. Yes, you always want to write about what you know, especially when you can draw on personal experience to add valuable insights or share anecdotes about what works – and what doesn’t. But you still need to include hard facts. Not sure where to find the information you need? Content marketer Matt Kamp recommends setting up Google Alerts for relevant keywords and checking Data.gov and the Pew Research Center. In order to be seen as a knowledgeable, reliable and trustworthy industry leader, you need to marry your industry insights with facts. Cite everything! Building off someone else’s insights is fantastic – just be sure to credit the original author. Establishing yourself as an industry expert with guest contributions won’t happen overnight. You’ll need to publish a series of articles across multiple industry publications to begin building name recognition and brand equity with your target audience. Don’t be surprised (or disappointed) if major publications turn down your initial content pitches. Just as a journalist can’t expect to write for the New York Times right out of college, you’ll need to build up to the biggest industry publications. Maintain your site and blog consistently to build authority in your respective industry. 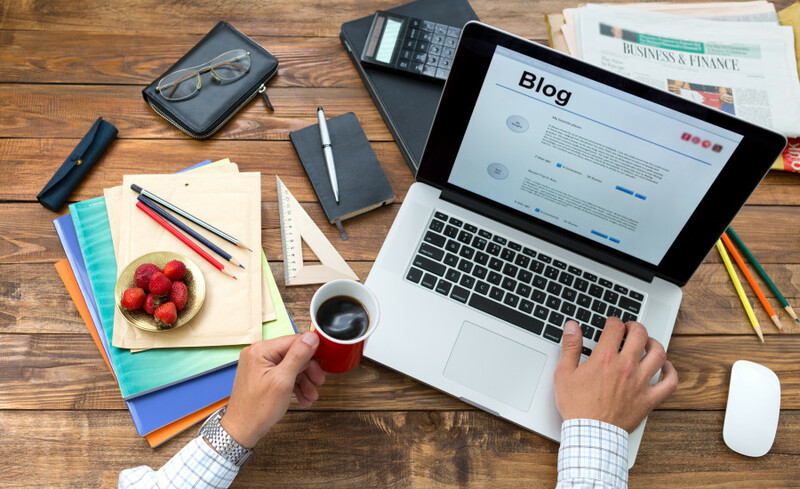 Keeping up with your company blog also allows publications to see your writing style and weigh the value you bring to the table. Keep a copy of your guest articles (PDF screenshots from the actual website are best) and submit these clippings to editors along with your article pitch. Ideally, you should create a press room page on your site where you can compile this information, provide detailed descriptions and link to the articles you have guest authored. If an editor won’t publish an entire article, ask if you can serve as an expert source for their publication. Persistence pays off and consistency is key!